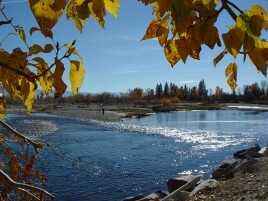 Our Missoula Montana bed and breakfast overlooks the Bitterroot River and the Bitterroot Valley. 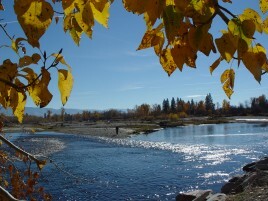 Driving south through the Bitterroot Valley is a pleasant journey; travelers pass through the charming towns of Lolo, Florence, Stevensville, Victor, Corvalis, and finally Hamilton. Each town is worth a visit. Stevensville was Montana’s first permanent settlement, when St. Mary’s Mission was created here in 1841. When was the last time you and your mother went off and did something special together? If you’re an adult, chances are the answer is “quite some time ago”. Change all that this year on Mother’s Day, May 9, 2010. A Moroccan feast for you and your mother. This year, treat Mom to your undivided attention. Whisk her away for a night or two at our Missoula bed and breakfast. If you have siblings, plan an impromptu family gathering to celebrate Mom. We will happily prepare a gourmet meal for at least four people at our bed and breakfast Missoula. Talk to us in advance and we’ll decide upon a menu: Indian fare, dim sum, Moroccan… you decide. In the evening, enjoy conversation and laughter over billiards or board games in our lodge. Listen to music, or select a movie from our extensive collection. Or just sit on the deck together and enjoy the sunset over the Bitterroot Valley. Mom will be happy to spend time with you, no matter what you do. The snows are beginning to fall around our Missoula lodge – a signal that winter will soon be here. It may not look like the picture here, yet, but it will. We love Montana in the winter. The cold, crisp air feels cleaner than usual. Miles of trails invite us to unearth our skis and snowshoes, and check the engines of our snowmobiles. We dream about the buckets of hot cocoa we’ll drink to warm us after a day in the mountains. We look forward to hours curled up by the fire with a good book over the holidays, as winter winds blow. The beauty of the Bitterroot Valley speaks for itself. 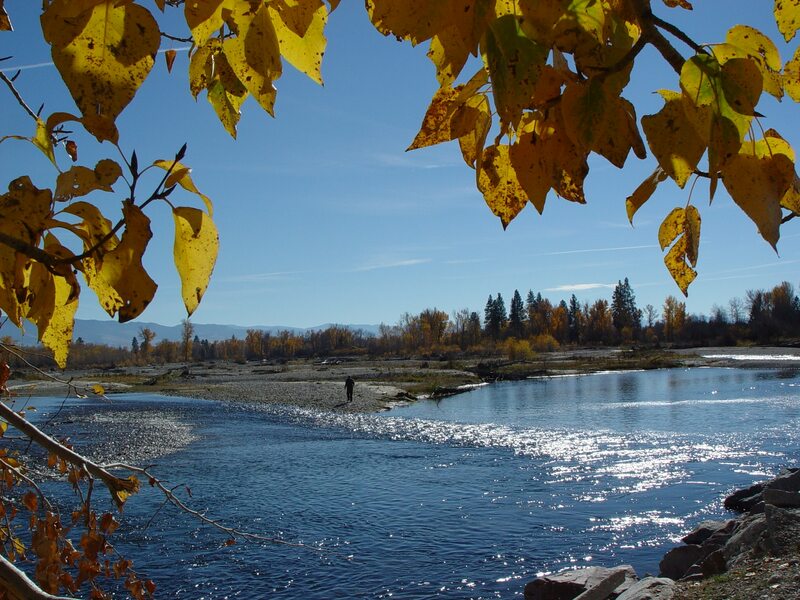 Suffice to say that this is what you will experience when you stay at our Missoula bed and breakfast. 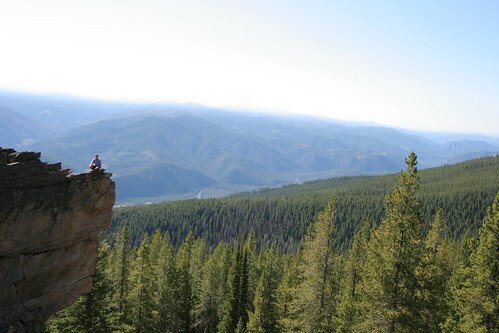 Our Missoula Inn is beautifully situated on 20 acres of ponderosa pine forest overlooking the Bitterroot Valley. When we awaken each morning we feel like we are in a peaceful, remote place far from a city. 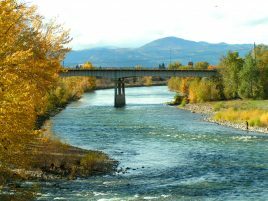 And yet we are just minutes from downtown Missoula MT, and all the art, culture, fine dining and shopping that it has to offer. The Southgate Mall is a good place to spend a few hours on a cold or rainy day (and like it or not, such weather is approaching). Here you will meet all of your shopping needs. There is a food court if hunger strikes while perusing the many shops, and there is always at least one good deal out there. 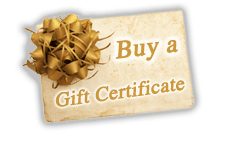 Many guests at our Bed Breakfast Missoula find it a convenient place to purchase items they need during their travels. It’s a great place to find a book, or pick up a sweater or hat. Of course, there are also many fine shops throughout Missoula, as well.